A team of astronomers have used the SPHERE instrument on ESO’s Very Large Telescope to image the first planet ever found in a wide orbit inside a triple-star system. The orbit of such a planet had been expected to be unstable, probably resulting in the planet being quickly ejected from the system. But somehow this one survives. This unexpected observation suggests that such systems may actually be more common than previously thought. The results will be published online in the journal Science on 7 July 2016. Luke Skywalker's home planet, Tatooine, in the Star Wars saga, was a strange world with two suns in the sky, but astronomers have now found a planet in an even more exotic system, where an observer would either experience constant daylight or enjoy triple sunrises and sunsets each day, depending on the seasons, which last longer than human lifetimes. This world has been discovered by a team of astronomers led by the University of Arizona, USA, using direct imaging at ESO’s Very Large Telescope (VLT) in Chile. The planet, HD 131399Ab , is unlike any other known world — its orbit around the brightest of the three stars is by far the widest known within a multi-star system. 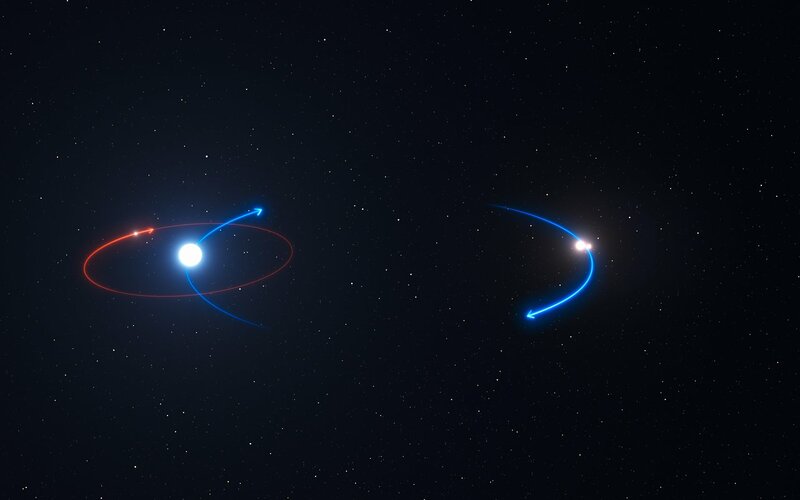 Such orbits are often unstable, because of the complex and changing gravitational attraction from the other two stars in the system, and planets in stable orbits were thought to be very unlikely. 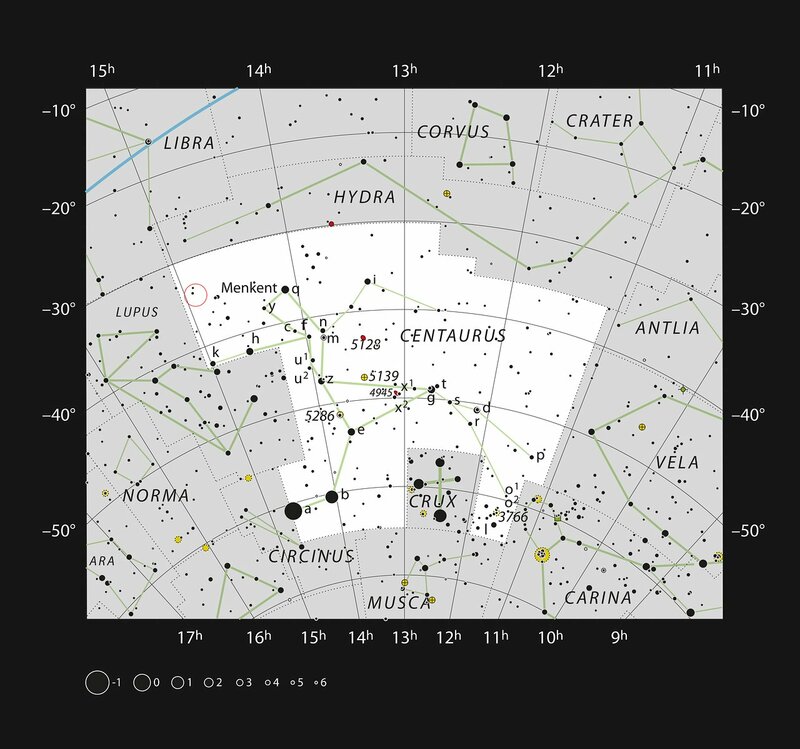 Located about 320 light-years from Earth in the constellation of Centaurus (The Centaur), HD 131399Ab is about 16 million years old, making it also one of the youngest exoplanets discovered to date, and one of very few directly imaged planets. With a temperature of around 580 degrees Celsius and an estimated mass of four Jupiter masses, it is also one of the coldest and least massive directly-imaged exoplanets. "HD 131399Ab is one of the few exoplanets that have been directly imaged, and it's the first one in such an interesting dynamical configuration," said Daniel Apai, from the University of Arizona, USA, and one of the co-authors of the new paper. 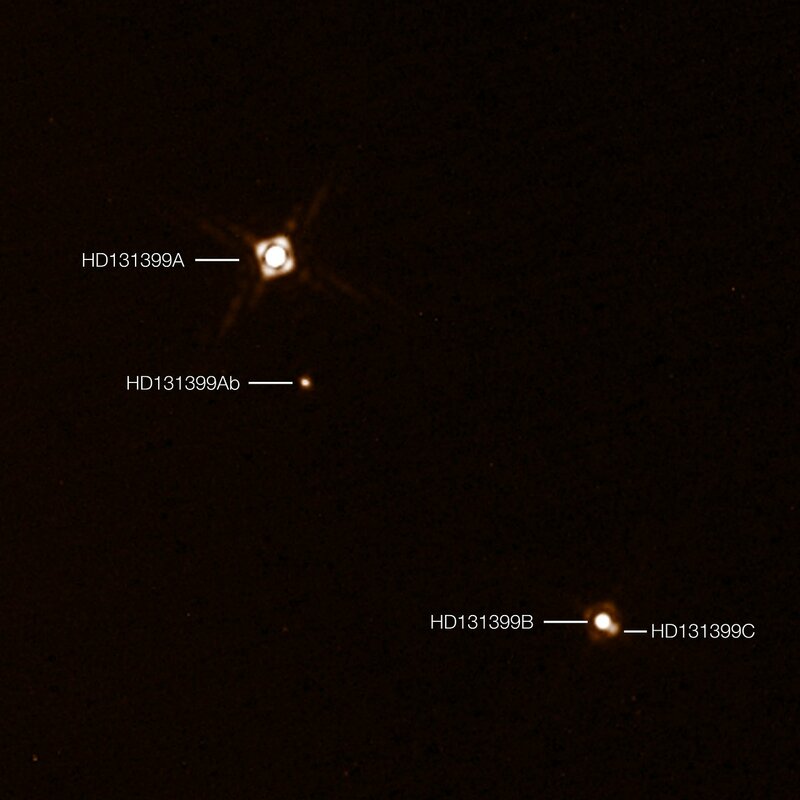 "For about half of the planet’s orbit, which lasts 550 Earth-years, three stars are visible in the sky; the fainter two are always much closer together, and change in apparent separation from the brightest star throughout the year," adds Kevin Wagner, the paper's first author and discoverer of HD 131399Ab . Kevin Wagner, who is a PhD student at the University of Arizona, identified the planet among hundreds of candidate planets and led the follow-up observations to verify its nature. The planet also marks the first discovery of an exoplanet made with the SPHERE instrument on the VLT. 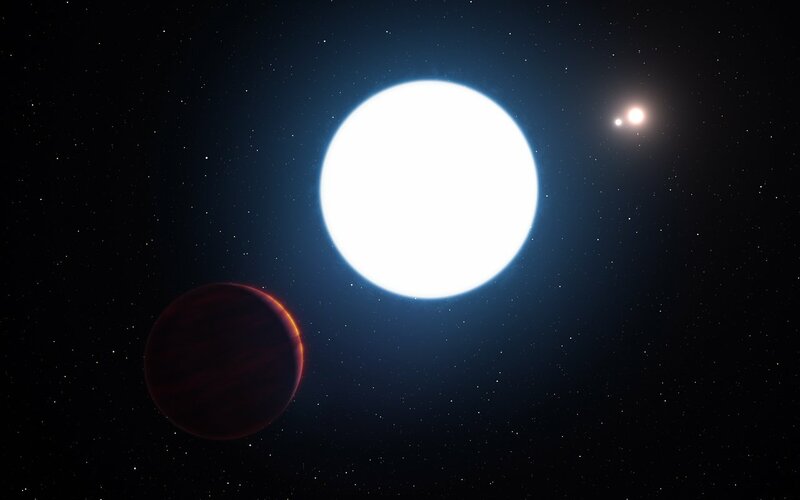 SPHERE is sensitive to infrared light, allowing it to detect the heat signatures of young planets, along with sophisticated features correcting for atmospheric disturbances and blocking out the otherwise blinding light of their host stars. 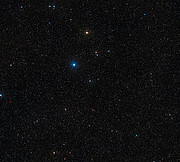 Although repeated and long-term observations will be needed to precisely determine the planet's trajectory among its host stars, observations and simulations seem to suggest the following scenario: the brightest star is estimated to be eighty percent more massive than the Sun and dubbed HD 131399A, which itself is orbited by the less massive stars, B and C, at about 300 au (one au, or astronomical unit, equals the average distance between the Earth and the Sun). All the while, B and C twirl around each other like a spinning dumbbell, separated by a distance roughly equal to that between the Sun and Saturn (10 au). In this scenario, planet HD 131399Ab travels around the star A in an orbit with a radius of about 80 au, about twice as large as Pluto’s in the Solar System, and brings the planet to about one third of the separation between star A and the B/C star pair. The authors point out that a range of orbital scenarios is possible, and the verdict on the long-term stability of the system will have to wait for planned follow-up observations that will better constrain the planet’s orbit. 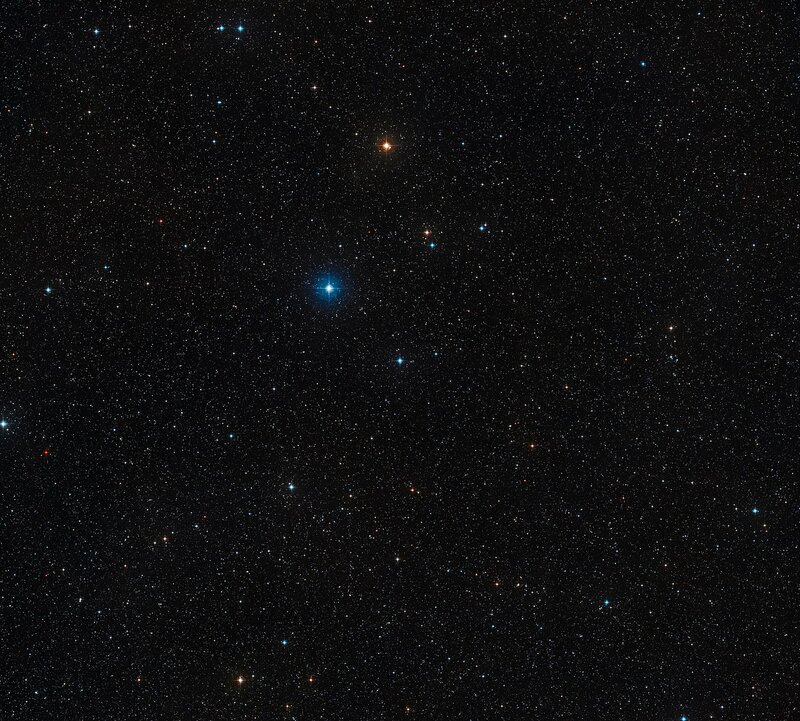 "If the planet was further away from the most massive star in the system, it would be kicked out of the system," Apai explained. "Our computer simulations have shown that this type of orbit can be stable, but if you change things around just a little bit, it can become unstable very quickly." Planets in multi-star systems are of special interest to astronomers and planetary scientists because they provide an example of how the mechanism of planetary formation functions in these more extreme scenarios. While multi-star systems seem exotic to us in our orbit around our solitary star, multi-star systems are in fact just as common as single stars. "It is not clear how this planet ended up on its wide orbit in this extreme system, and we can't say yet what this means for our broader understanding of the types of planetary systems, but it shows that there is more variety out there than many would have deemed possible," concludes Kevin Wagner. "What we do know is that planets in multi-star systems have been studied far less often, but are potentially just as numerous as planets in single-star systems." The three components of the triple star are named HD 131399A, HD 131399B and HD 131399C respectively, in decreasing order of brightness. The planet orbits the brightest star and hence is named HD 131399Ab. 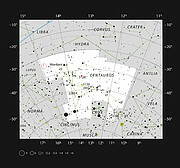 For much of the planet’s year the stars would appear close together in the sky, giving it a familiar night-side and day-side with a unique triple sunset and sunrise each day. As the planet moves along its orbit the stars grow further apart each day, until they reach a point where the setting of one coincides with the rising of the other — at which point the planet is in near-constant daytime for about one-quarter of its orbit, or roughly 140 Earth-years. 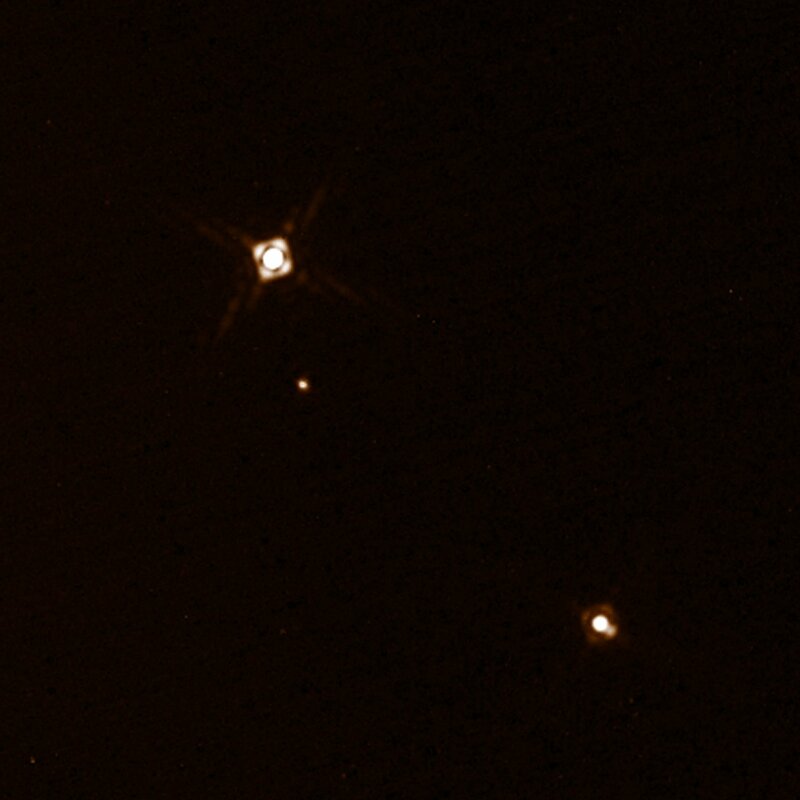 This research was presented in a paper entitled “Direct Imaging Discovery of a Jovian Exoplanet Within a Triple Star System”, by K. Wagner et al., to appear online in the journal Science on 7 July 2016. The team is composed of Kevin Wagner (Steward Observatory, The University of Arizona, Tucson, Arizona, USA), Dániel Apai (Steward Observatory and Lunar and Planetary Laboratory, The University of Arizona, Tucson, Arizona, USA), Markus Kasper (ESO, Garching, Germany), Kaitlin Kratter (Steward Observatory, The University of Arizona, Tucson, Arizona, USA), Melissa McClure (ESO, Garching, Germany), Massimo Robberto (Space Telescope Science Institute, Baltimore, Maryland, USA) and Jean-Luc Beuzit (Université Grenoble Alpes, Institut de Planétologie et d’Astrophysique de Grenoble, Grenoble, France; Centre National de la Recherche Scientifique, Institut de Planétologie et d’Astrophysique de Grenoble, Grenoble, France).